The NUJ has called on Independent Newspapers (Ireland) to withdraw plans for the proposed closure of the company’s defined benefit pension schemes. The union has also protested at the manner in which scheme trustees, elected by workers, have been treated by the company. 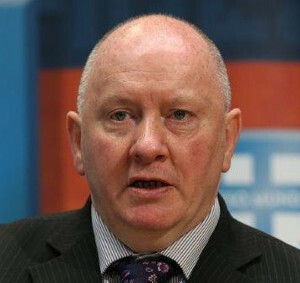 NUJ Irish Secretary, Séamus Dooley, has confirmed the trustees of the scheme were not afforded the opportunity to discuss the closure in advance of the preparation of detailed information packs sent to current scheme members, including former staff who have not yet reached retirement age (deferred pensioners). The elected trustees have been treated with complete contempt. Séamus Dooley said: “Given the financial position of the company there is no legal or moral justification for the closure of the defined benefit schemes. In 2013 the company, the trustees and the then Pensions Board reached an agreement on restructuring the two defined benefit schemes. As part of the agreement INM agreed to continue funding the defined benefit scheme for 10 years but is now seeking to break the agreement. “I am advised that the proposed changes were not considered by the trustees of the scheme and that the elected trustees were presented with the documentation as a fait accompli. The change in funding was not discussed in advance by the trustees, despite their statutory obligations under Section 59 of the Pensions Act. “The proposals are a clear breach of the Section 50 agreement reached with the trustees, Independent News and Media Plc and the Pensions Board in 2013 which contained a specific commitment to 10 year funding of the defined benefit scheme. The manner in which this matter is being handled raises serious issues in relation to corporate governance and highlights the need for stronger laws governing pension schemes and also in relation to the power of trustees. The union is seeking the support of the ICTU and sister unions in their opposition to the closure of the schemes. The NUJ has also contacted the Pensions Authority.